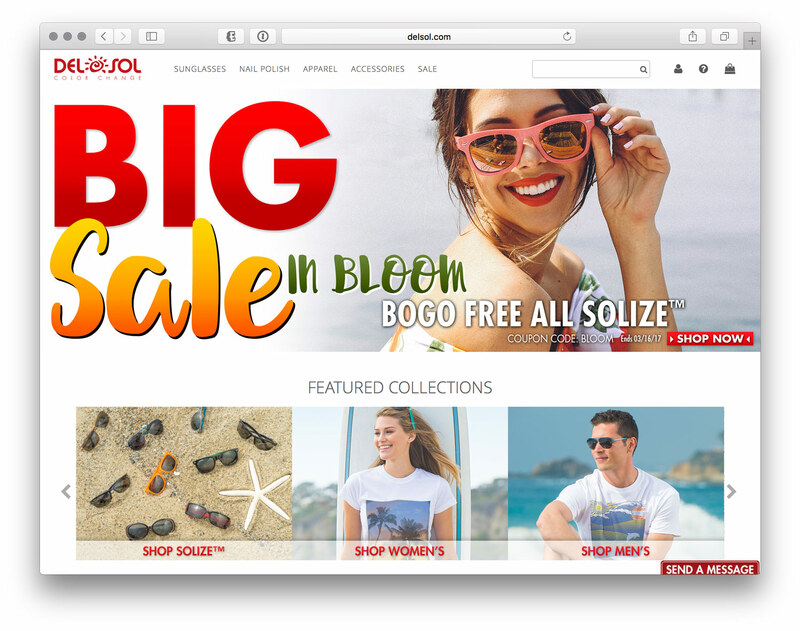 Designed Email Campaign to show off new Solize™ models while tying in with Del Sol’s fun in the sun beach brand. Designed Social Media sizes as well as Home Page Slider pictured above. 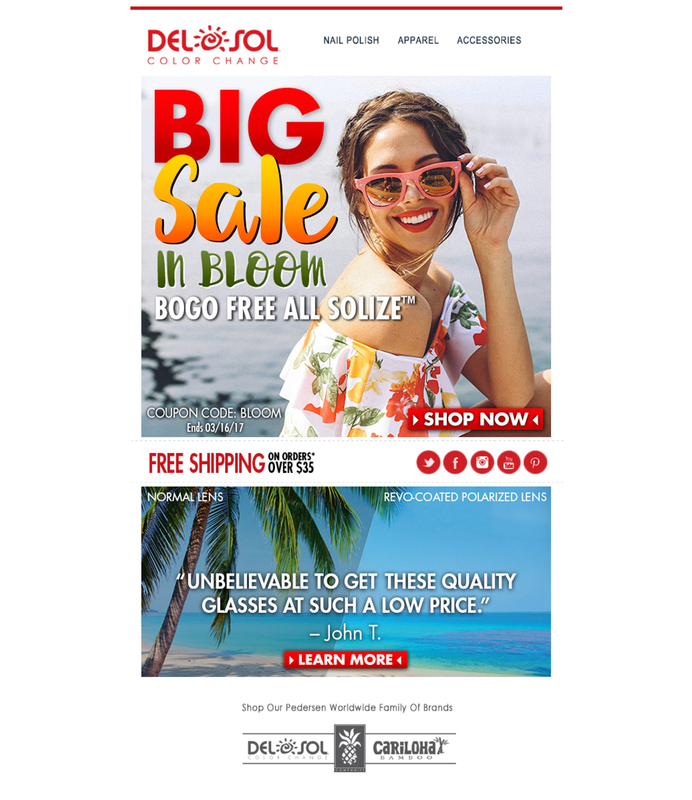 Worked with web team to create email campaign to advertise our Buy One Get One Free Solize™ Sunglasses. For the Women’s sale feminine fonts were used with color to accentuate the dress worn by the model.